We've raised £8.2 million from 3,425 investors! 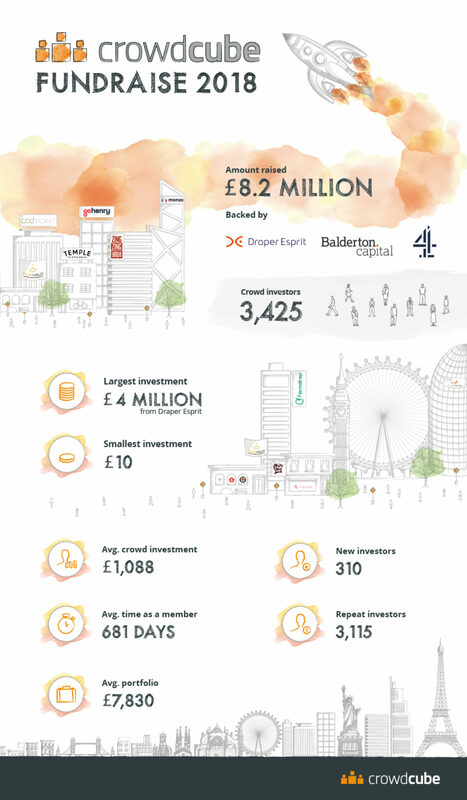 Take a look at our infographic showing key stats from our latest fundraise and our investor community. From all of the team at Crowdcube, we want to say a massive thank you for all your support and a warm welcome to our new shareholders - it's great to have you onboard as we embark on our next exciting phase of growth.